Have these guys found anything significant yet? The only traces of the Malaccan Empire are the coins of the 4th Sultan. If one goes to Malacca to look for The Great Malaccan Empire, all they will see is the Porta De Santiago (Portuguese), the Stadhuyse (Dutch), The St Paul’s Church and St. John’s Fort. Where are traces of the Great Malaccan Empire? Did someone say “Please refer to Sejarah Melayu”? As much as we would like it to be a true and accurate account, Sejarah Melayu is sadly more of a fable than an account of any veracity or validity. Firstly, it was written circa 1623; a full 200years AFTER the demise of Parameswara. Secondly it’s original title is NOT even “Sejarah Melayu”. It was more like “Asal-Usul Raja-Raja” or something to that tune. Has anyone found any coins of the Malaccan mintage other than the 4th Sultan’s? The Malacca River or Sungai Melaka the main waterway traversing this historic town is slowly but surely losing its lustre. Its traditional role and function permanently deleted. After five centuries of receiving traders and sailors from all corners of the world, life around the river recently comes to a forcedly halt to accommodate a RM130 million Malacca River Beautification Project. At its core the project clamors after the San Antonio Riverfront and just about everything there with no qulams about the historical value of Sungai Melaka. The project first launched in the new millennium was ambitious and its justification was music to many ears. High on the wish list is to stop the repeats of the Great Flood 1971, halt the local habit of turning the river into a favorite dumpsite, and rejuvenate river’s marine life. However as we approach the tail end of the redevelopment project, one will discover that in its place is a prettified riverfront, with an annoying similarity to Singapore’s Clarke Quay. Ask its advocators and they would argue that the river now is spotting a popular thoroughfare to reach different venues in the town, but probably more true for a largely tourist traffic and unfortunately little else for Malaccans. Aestically the so-called beautification project has cast a cement veil over parts of the historical river and it is no different from the canals found along the confluence of Gombak and Klang Rivers in KL. The rows of stilted shoplots in Kampung Ulu, Kampung Pantai and Kampung Jawa apparently were an eye sore for foreigners. At worst it highlighted a disappointing and a lack of genuine idea on the people involved in the project. Monitor lizards and the occasional kingfisher once found lazily around stilts and the Sumatran schooners unloading charcoals at the river banks are all but disappeared. Purple colored fishing trawlers once a common sight here when visiting Malacca is also history. Now the only motorized noise vibrating you get is from the state owned floating platoons cruising up and down the stream with paying human cargoes. 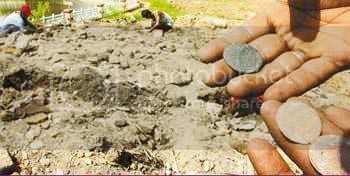 In the early 2005, treasure hunters can still be found on its muddy banks when tides ebb scavenging for remnants of Malacca’s past. After all this water artery was the site where battles fought and history made. Judging by the men’s enthusiasm and the risk they willing to take, one reckon these must be very profitable outings. Today the men are long gone and mudskippers suffered the same aweful fate too. Currently Phase II of the project is in full swing. (Apr 2008) A tidal lock opposite the Flor De La Mar’s replica is up and running, and thus ensuring that the river level is always ideal for the tourist platoons to sail the entire length of the river. Malacca would then claim the misnomer title of “Venice of Asia”. Even Parameswara and D’ Albuquerque would be strangers if they set their foot again here on the sungai. The same sungai that gave birth to a proud Malay Sultanate and ushered the waves of European colonialism to this part of the world.